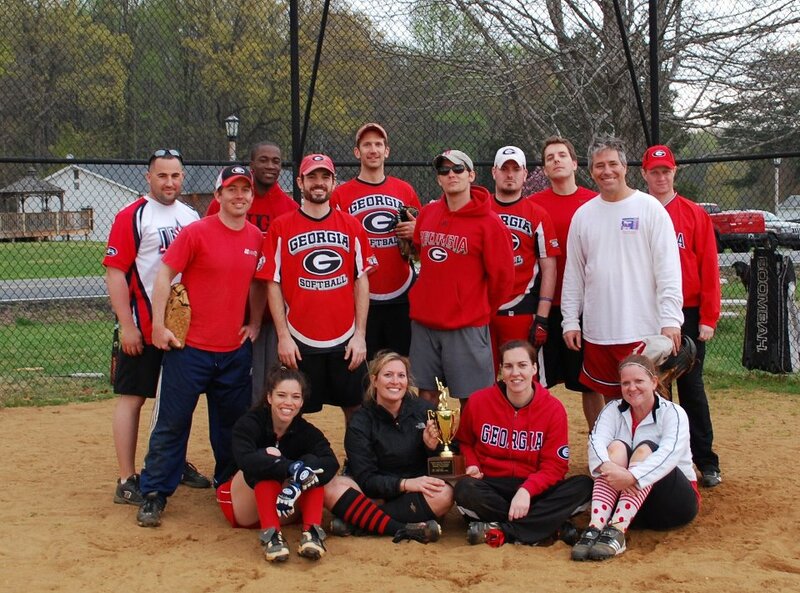 The Georgia Bulldog softball team, part of the Capital Alumni Network league in the DC area, won yesterday’s preseason tournament featuring teams from the Southeastern Conference and Atlantic Coast Conference. You may notice the presence of someone who appears to be just a tad bit older than the other players. That is not an April Fool’s example of photoshop. It is yours truly, a crafty veteran. Anyhow, hopefully this is an omen for Georgia’s 2012 football season.